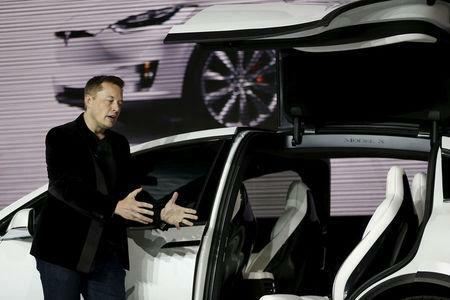 (Reuters) - Tesla Inc Chief Executive Officer Elon Musk will purchase company stock worth $20 million in the next open trading session, the electric carmaker said in a filing on Wednesday. Tesla and Musk have each agreed to pay $20 million under a settlement with the U.S. Securities and Exchange Commission of a fraud lawsuit relating to tweets by Musk in August. Tesla said the purchase was 'separate and apart from the settlement' between Musk, Tesla and the SEC and did not respond to Reuters requests for more information on the reasons for the purchase. Shares of the company rose 2 percent in early trading. The government lawsuit threatened Tesla and Musk with a long fight that could have undermined its operations and ability to raise capital. However, Musk settled with SEC and agreed to step aside as Tesla's chairman for three years, heading off the threat that he would be forced out of company management completely. The settlement was approved by a U.S. judge on Tuesday.